This is the most helpful list of ground beef recipes for when you need to feed your hungry family. Great make ahead dinner ideas and quick fixes for busy weeknights: all the ideas for what to make with ground beef you need. Summer is coming and we finally fired up the grill for the first time. Handyman Tim suggested we kick off the season with fresh hamburgers to use up a couple packages of ground beef I bought on sale at the grocery store. I started to think about all the ground beef recipes we rotate through in our family. Some are easy weeknight dinners while others are make ahead meals for the freezer. 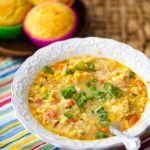 Most of these dishes are huge hits with my kids, so I thought it would be helpful to share some of my ground beef recipe ideas with you! From hamburgers to casseroles, American families love cooking with ground beef because it is budget-friendly, versatile, and so easy to use. Ground beef accounts for 60% of all beef purchases according to the American Meat Science Association. I love cooking with ground beef because whether I store it fresh or pre-cooked, it freezes so well and reheats perfectly. It’s a perfect way to get dinner on the table even during the busiest seasons. My favorite way to cook ground beef is to brown it and season it before freezing. This spring, I experimented with my first-ever Big Batch of ground beef for the freezer. I cooked up 6 pounds of ground beef one Sunday afternoon and mixed in a bunch of hearty veggies. I portioned the huge batch out into 1 – 2 cup servings for the freezer. This allowed me to use those prepared beef packets to make easy and quick dinners for the kids with a lot less mess and hassle. 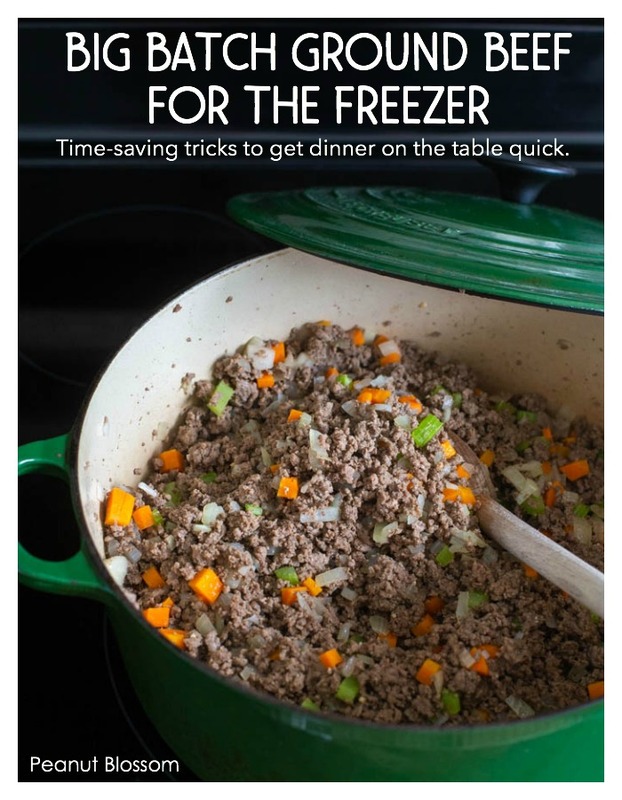 Click here to jump to the ground beef recipe I used for my Big Batch of Beef for the Freezer. Ground beef is usually really popular with kids because the small bits of meat are so much easier for them to chew and there is no cutting involved. Our pediatrician once recommended it as an excellent protein source for picky eaters because the texture is more palatable for small children. I think the most common use for ground beef is to brown it up for tacos. My kids could eat that every night of the week with no complaints. But I’m pretty sure you’re looking for a little more variety in your ground beef recipes! Ha! Ground beef stir-fry: Super budget friendly and takes just 15 minutes. Easy weeknight tacos: Add your favorite taco seasoning and serve with toppings. Instant Pot beef & tomato soup: This is a staple in our house every winter. Serve it with some fresh bread and butter for a comforting meal. Instant Pot beef stroganoff: Less than 30 minutes. Mexican Tater Tot casserole: Tacos + Tater Tots? We have a winner! BBQ Beef Casserole: With refrigerated crescent rolls. YUM. Cheeseburger pasta skillet: It’s a burger in a bowl! Low carb stuffed peppers: We call these “pepper boats” in our house. Sweet potato chili: Great variety of veggies here. 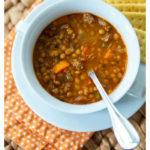 Healthier beef chili: Lighter, more beans. Healthy Korean ground beef with vegetables: I love that you can use frozen veggies here. Quesadilla burgers: Like a taco but it’s a burger. Even better. Asian burgers with Sriracha mayo: awesome spicy kick. Aloha BBQ sliders: Make these regular or mini sized. For the ultimate in convenience, take a weekend afternoon and prep a bunch of these for your freezer so you can just pop them in the oven on a busy weeknight. Irish Beef Handpies Hand-held little pie pockets. My family devours these. Perfect chili Great as a baked potato topper, too. Philly Cheese Steak Sloppy Joes: Make and store the sloppy Joe mix ahead and then assemble the sandwiches fresh. Sweet and sour meatballs: I love all things take-out inspired! Easy ground beef recipes that kids can make themselves! 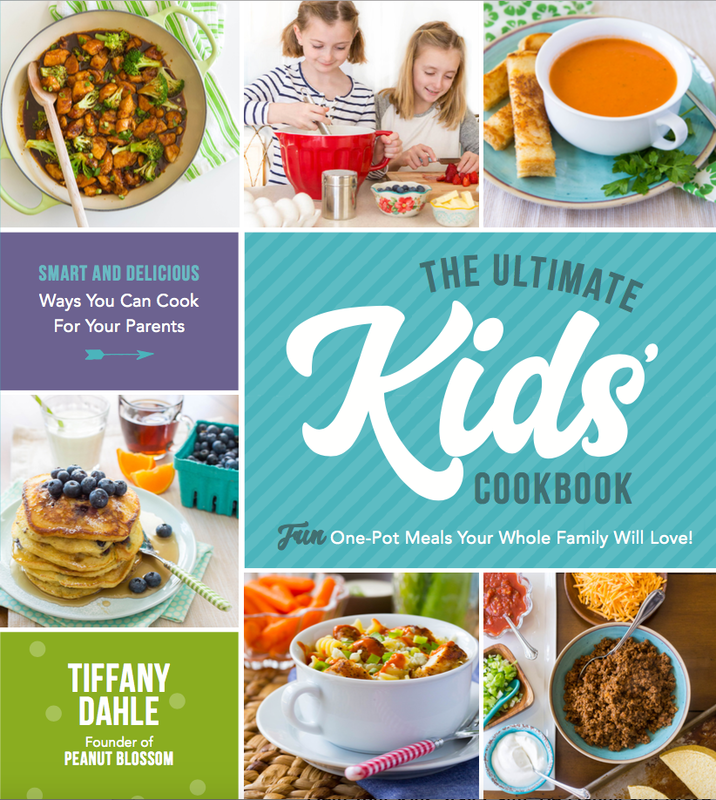 My upcoming cookbook, The Kids’ Ultimate Cookbook, contains several ground beef recipes that kids will love to make and eat with their families. I have an entire section that teaches kids the right way to brown ground beef with instructions written just for them. You can get your very own copy of the cookbook right here. You and your kids will both love it. Make this giant batch of browned ground beef and then freeze it into 1 – 2 cup portions for a quick fix for dinner on a busy weeknight. Chop the carrots, celery, and onions into a small dice. In a large pot, add the veggies, garlic, salt & pepper, and the ground beef. Cook over medium heat to brown the ground beef until no longer pink. Break it up with your spoon as you go. Drain the fat off and return the pot to the stove. Cook over medium heat until the vegetables are softened and the onions are translucent. Let the mixture cool before packaging it in 1-2 cup servings for your freezer. Mark the packets with date and freeze for up to 3 months. To Thaw: Place a packet in your fridge overnight or thaw it (still wrapped in a water-tight bag) in a bowl of cool water for 20 minutes.